Gift Ideas for Wedding Anniversaries! 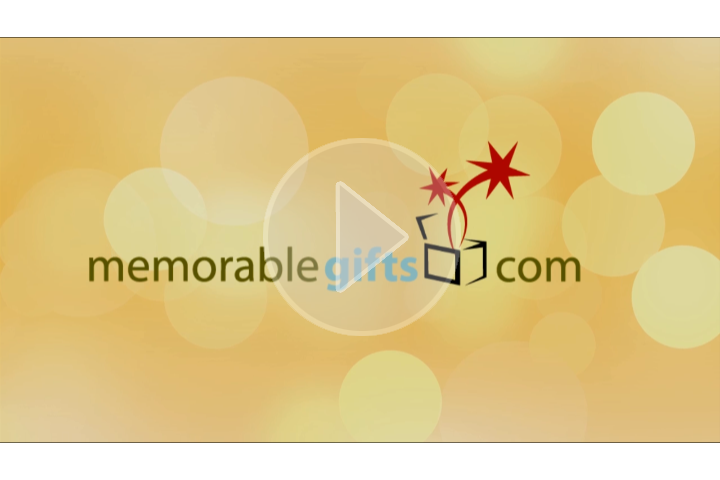 Hi, and welcome to another edition of MemorableGiftsTV! In this video will be talking about anniversary gifts. Pictures were not enough to demonstrate the beautiful personalization that goes into a personal gift, so we had to make a video! The showcase includes two personalized 25th anniversary gifts, and one personalized 50th anniversary gift. We hope you enjoy the video, and feel free to leave us a comment below with questions or ideas! 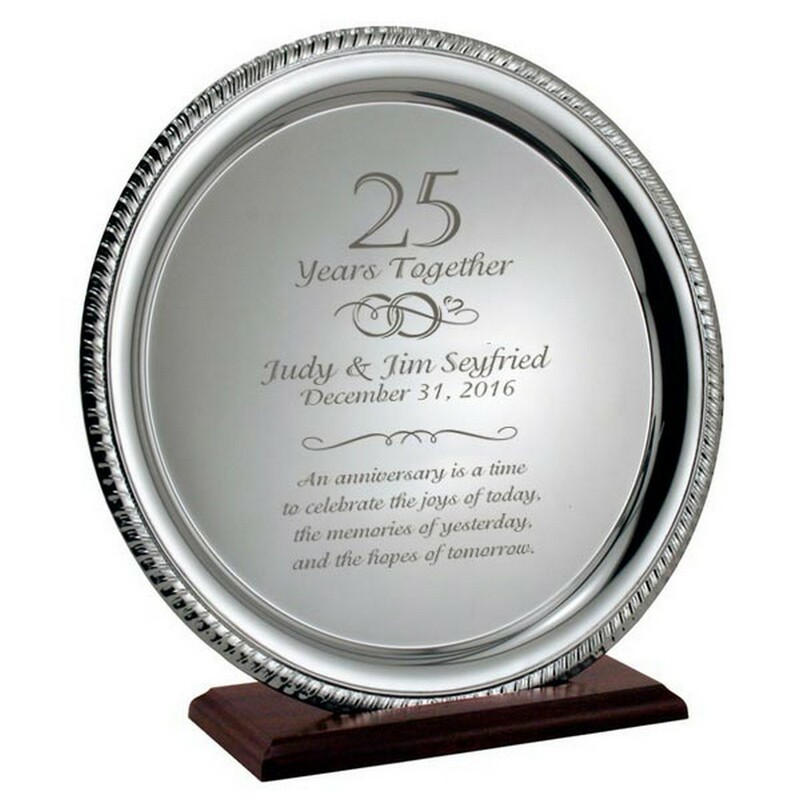 These personalized 25th anniversary gift s serve as a great display piece and a lovely way to preserve the memories from the celebration in a special way. This gift is a lovely addition to a china collection, but can also be displayed on its own. Share this gift idea with friends and relatives, and personalize it today! A couples love shines bright as gold & crystal, and this gift is not just elegant but a gorgeous gift to display an achievement in marriage. Click on the plate and see the beautiful engraved message! Welcome to MemorableGifts.com TV, my name is Raffi, and we are going to talk about Anniversary gifts today. We have a great selection on our website, you can visit us at MemorableGifts.com and you can see a variety of different gifts for first year anniversary’s, second year, tenth year, twenty fifth, and fifty anniversary’s. You can pick and choose all the variety of gift ideas for the occasion your are trying to buy the gift for. Today I’m going to show you a couple of items here, just to give you an idea the kind of gifts we offer on our website. One of them is the 50th anniversary keepsake plate, this particular item is a crystal plate, which is pretty nice and heavy piece. 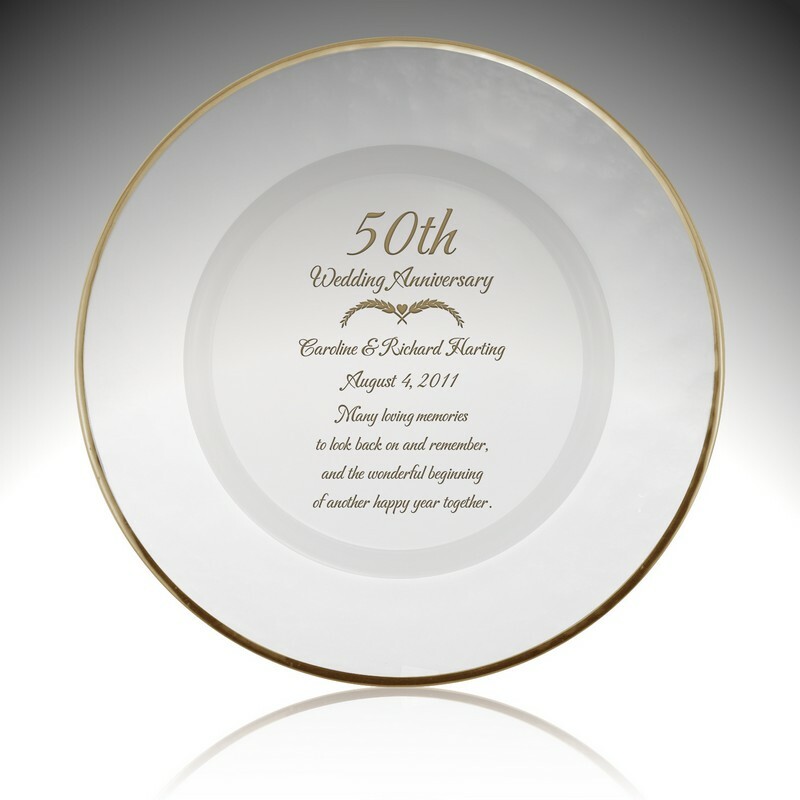 And it is gold plated in 24 karat gold around the outside of the plate(rim) as you see we personalized this particular item with a special message, names of the anniversary recipients you’re giving it to, and also the date. Now this item also comes with an easel(stand), which is a clear plastic easel. This will help you display the keepsake plate, and cherish it. It is really a nice way of appreciating or celebrating a very special 50th anniversary event. Another item we have, which is a 25th anniversary that I like to show, which is a silver plate. Designed for a 25th anniversary, again you can have a special message on the bottom, and in the middle you will have the names and date for the anniversary. Actually this one comes sits on a very nice wood base to display the keepsake plate. Which is a great idea for a twenty fifth anniversary celebration. We have one more item to show you today, it’s a 25th anniversary photo album, which comes in a nice velvet backing. And it opens up into a nice stand and display, you can personalize the name for anniversary recipients, and you can display photos inside the album. It is a beautiful gift idea for an anniversary. Thanks again, my name is Raffi, and I’m out. Bye Bye. Sweet idea. I have a must to check out for you. My hubby gave me a Dreamlines sketch of my wedding dress, along with this suit. The detail was just astounding and blew me away. I love this present idea.